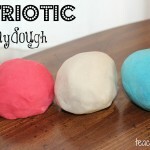 4th of July is just around the corner and I’ve got an easy and FUN patriotic activity for your little ones to do! 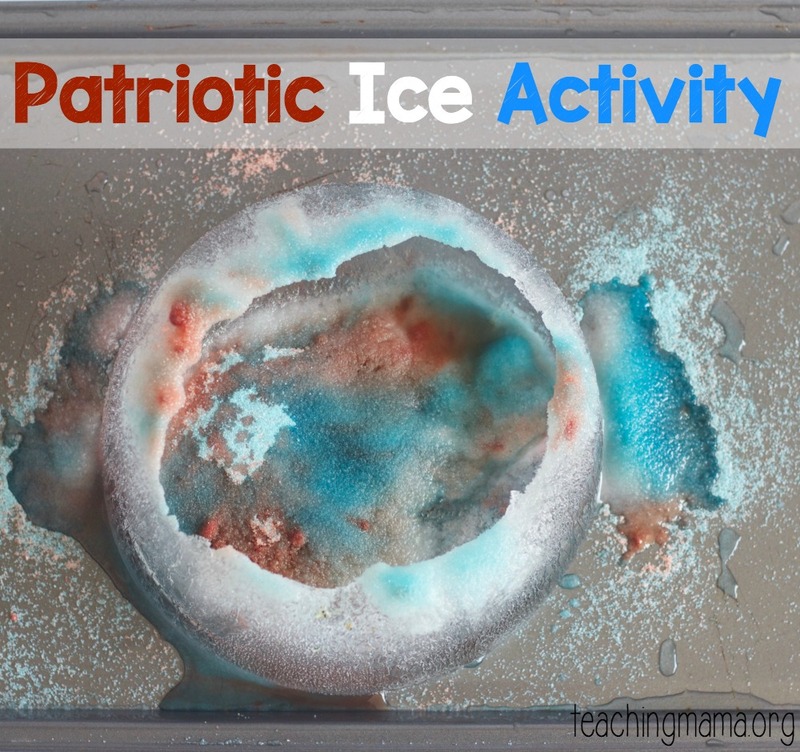 This patriotic ice activity is a neat science activity and will keep your children cool on a hot summer day! 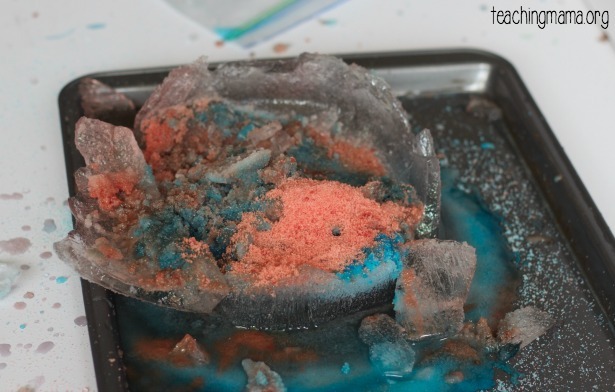 Begin by freezing water into an ice block. 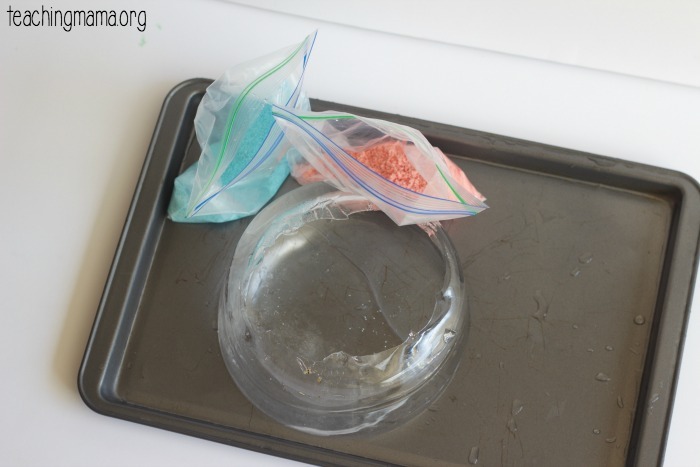 Put salt into a baggie, drop in a few drops of food coloring in, close the bag, and shake until the salt is colored. 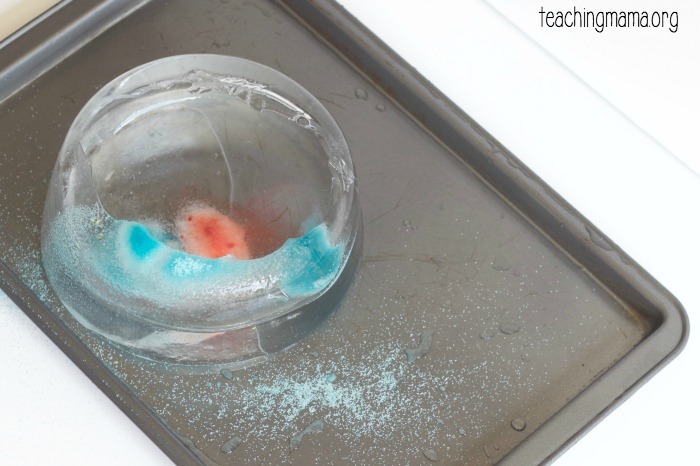 After the ice is frozen, place the salt and ice onto a tray and invite your child to do the activity. 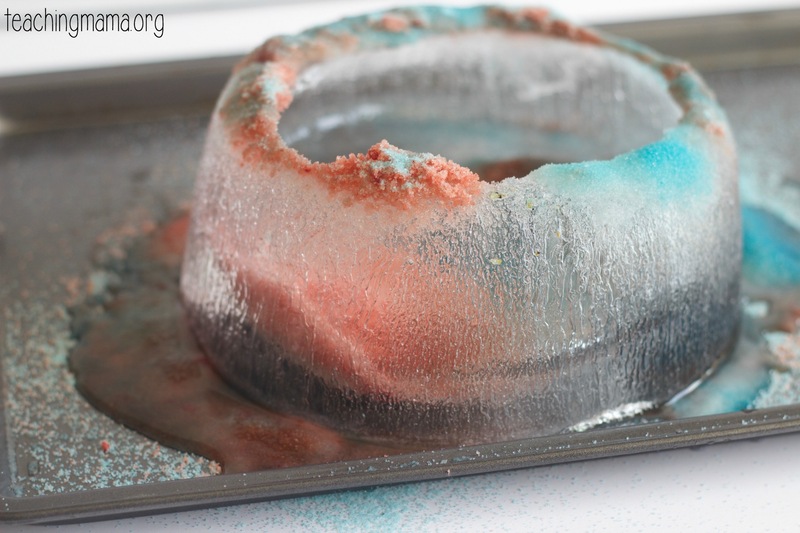 My ice didn’t freeze very well, so I had more of a shell, with the inside hollow. It still worked! 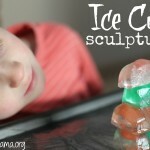 Have your child pour or scoop the salt onto the ice. 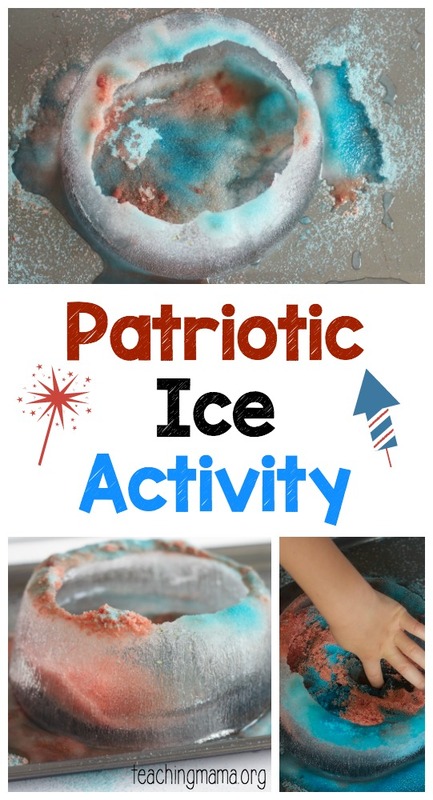 Watch as the ice instantly starts to melt. You’ll also hear cracking or popping sounds! I love how the salt makes the edges rough. 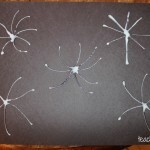 They look SO cool! 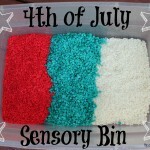 Have your child feel the rough sides. Keep adding more salt to the ice and watch it continue to melt. It’s really fun to watch! 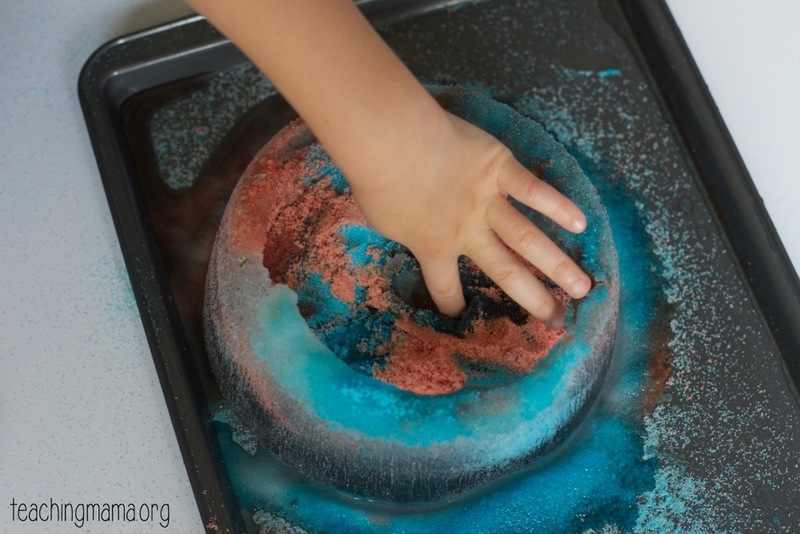 Share with your child that salt lowers the temperature of the ice, which is why it melts. 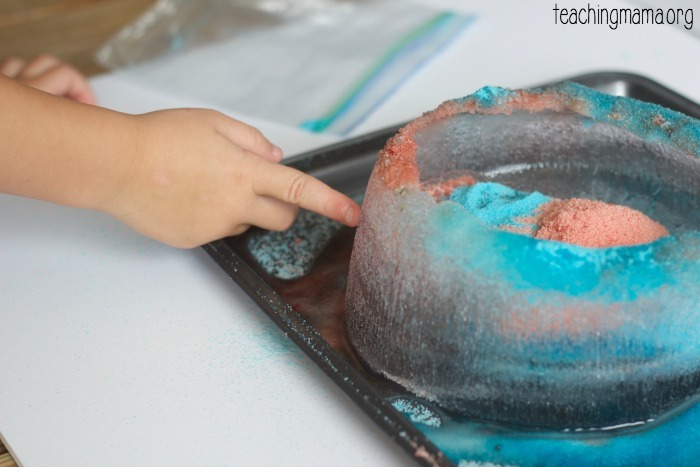 You can keep adding salt to the ice or even break it apart with your hands or utensils. 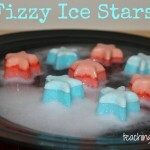 This is a simple science activity, and also fun to do on a hot summer day! 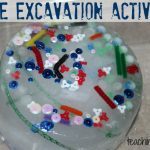 Hope you’ll enjoy this activity as much as we did!